The board of 9mobile has described one of its technical partner Mr. Adrian Wood as greedy and impatience in the arrangement that bought over the company from its creditors. In a statement issued in Lagos the management of 9mobile said “it is regrettable that Mr. Wood has allowed the same avarice, rascality, impatience and knavery that characterised his turbulent association with, and inglorious exits from several other companies to manifest again so early in 9mobile. While we wish him well in his future endeavours, we unequivocally assure our customers, suppliers, partners, regulators, and stakeholders that the Board is committed to continuing the upward mobility of 9mobile. Having invested so heavily in buying the company, and assembling a reliable team to pursue our goals, we want to categorically state that no distractions can stop us from this mission. “Teleology Nigeria Limited is a consortium including several local and foreign investors. While every partner in the consortium was delivering and meeting their obligations to the partnership in terms of financial resources, physical availability for crucial meetings and extensive network to help build the business, Mr. Adrian Wood’s Teleology Holdings Limited, which only owned a minority stake in Teleology Nigeria Limited, failed severally and wholly to meet theirs. Mr. Wood was not personally present for all the critical presentations made by the consortium during the bid process and failed abjectly with his financing arrangements with Swiss-based UBS Bank. In all these failings, other partners in the consortium filled the gap and pushed ahead until the sale was completed. “Since taking over the company, and without any assistance from Mr. Wood or Teleology Holdings, the Board has revived and enhanced relationships with key vendors and core business accounts; improved business relationships with suppliers; enhanced its core network capabilities to deliver network efficiency competitively with other operators. With the assistance of leading global consultants, the company is also undertaking a complete review of its operational, regulatory, financial and technical architecture. On these basis, 9mobile has emerged from a period of uncertainty over the past two years to attain an active subscriber base of 16 million, representing a net increase of over 1 million subscribers in the last 6 weeks alone. “While remaining resolutely focused on rewarding our loyal customers and attracting new ones with the best telecom services in Nigeria, Emerging Markets Telecommunication Services Ltd. trading as 9mobile deems it necessary to respond to the myriad of false, misleading, and malicious media reports currently in circulation. 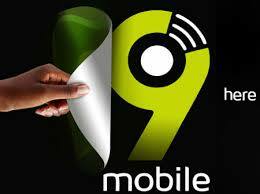 “In the aftermath of the protracted mismanagement of an otherwise healthy company, and eventual default on its loans by the previous owners, 9mobile was acquired by Teleology Nigeria Limited, following an internationally competitive and exhaustive bidding process led by Barclays Africa, with participation of the Central Bank of Nigeria (CBN), Nigeria Communications Commission (NCC) and thirteen Nigerian banks including GT Bank, Zenith Bank, Access Bank and others. “This process, which was well covered by the Nigerian media, was concluded with the initial deposit of $50 million and a further payment of $251 million as settlement to the banks who took over the company. These payments as well as further due diligence and technical evaluations led to the clearance of the sale by the NCC, and handover of 9mobile to the new owners, who announced a Board on 12 November 2018 with His Royal Highness Prince Nasiru Ado Bayero as the new Chairman. “The company’s core strategy in the short to medium term shall be underpinned by cost efficiency, innovative product development, network efficiency and strategic technical partnerships. We believe that this approach towards organic growth is more sustainable in building a strong Nigerian telecom operator, which taps into the deep technical expertise of the Nigerian labour force than an approach motivated by short-term financial gain advocated by Mr. Wood and his associates”.